MILAN, ITALY -- Italian auto supplier Magneti Marelli is expanding in North America, setting up a new automotive lighting center in Pulaski, Tennessee. The Milan-based company already makes shock absorbers and exhaust systems in Pulaski. The new lighting operation will be located within the existing building there, the company said in a June 11 news release. 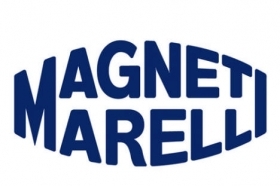 Magneti Marelli is a major global auto supplier with 83 production sites worldwide and nearly 6 billion euros ($7.3 billion) in annual sales, but the company has had limited production the United States. The Tennessee site will be the company's first in the United States for lighting, joining two other North American facilities in Mexico. In 2011, Magneti Marelli supply 20 million headlamps and 22 million rear lights to the auto industry. Its lighting unit takes in standard lighting, LED lighting and Xenon lights. Magneti Marelli has not said what capital equipment it will add in Pulaski for the new production and did not provide a timeline to launch the lighting business there.